Home Life Style Two Spanish dudes capture their Himalayan bike trip, and it’s gorgeous! Carlos Costa is a 21 year old Spanish student who likes to travel the world, and make videos of his trips. In this particular video, along with a friend, Carlos takes a trip to the highest motorable pass in the world – Khardung La – and films the entire experience. From renting a bike, to getting a puncture, to making new friends, to racing on the steep mountain roads (please don’t try that! ), Carlos and his buddy do it all. 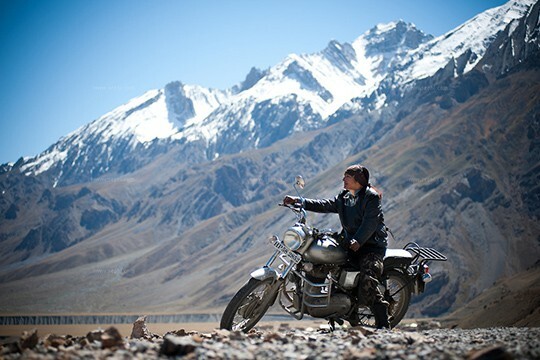 If this doesn’t inspire you to take a trip to Khardung La on a Royal Enfield, we don’t know what will!